Conor McGregor has ended some fights almost too fast to believe, like when he knocked out Patrick Doherty four seconds into their bout back in 2011. Conor McGregor is the best mixed martial fighter of all time especially if the UFC community still measures greatness by risk and multiplies it by accomplishment. 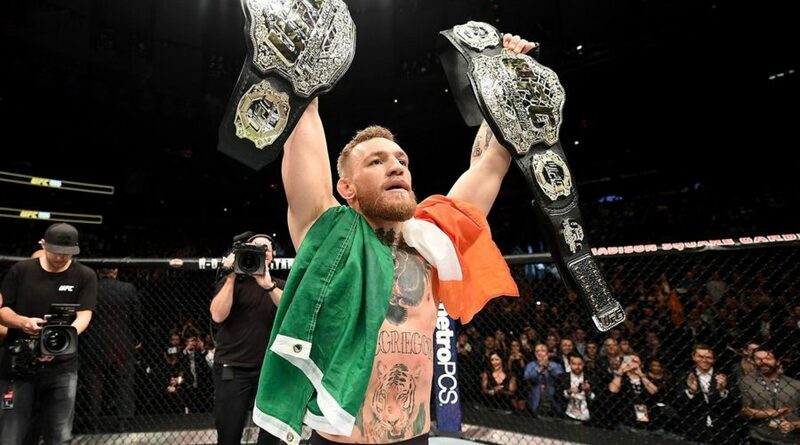 McGregor is the only UFC fighter that has held world titles in two different weight categories at the same time, and each of his victories came in dominant fashion. His constant desire to be great has allowed McGregor to climb the ladder of success. He has never worried about failure, which he has proven with his willingness to fight anybody, in any weight category, at any time. From his quick destruction of the pound-for-pound fighter Jose Aldo at UFC 194 to the moxie he showed when he jumped up two weight categories to face Nate Diaz on short notice at UFC 196. Aldo was once thought of as the most dominant champion in MMA due to his 10-year undefeated streak and the manner he ran roughshod over the competition. With his WEC featherweight title and his Brazilian Jiu-Jitsu grip, he maintained dominance, but McGregor still stopped him in only 13 seconds. Many will call it a lucky punch, but McGregor still called his shot well before the Aldo fight. He starched Dustin Poirier, who currently is on the cusp of a title shot, in less than two minutes at UFC 178. He is also the last man to defeat Max Holloway he current featherweight champion. UFC fans once recognized Eddie Alvarez as a threat and top lightweight in the world, but McGregor finished him in only two rounds. Now he’s back and looking to reclaim the title belt against another unbeaten fighter. It’s likely that McGregor’s next opponent will be UFC veteran Donald “Cowboy” Cerrone, after both fighters expressed interest in the bout. Fans could be possibly see them fight on June 8 at UFC 238 for a potential return of McGregor at the United Center in Chicago.